The Lord calls each of us to live lives that are loving. He teaches us how to serve the people around us, even when it seems difficult to do so. 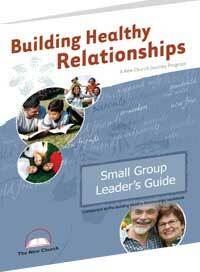 "Building Healthy Relationships" is a program exploring the deeper meaning of the Sermon on the Mount. It is designed to explore the Lord's teachings that support healthy, more meaningful relationships of all kinds: with co-workers, our siblings, with our parents and our children, and in our marriages. This leader's guide provides step-by-step instructions to leading a group, discussion questions, and exercises to explore together spirituality.